World-class Email Solutions for everyone! Zero BS CRM has, by default, seriously powerful email systems built in. 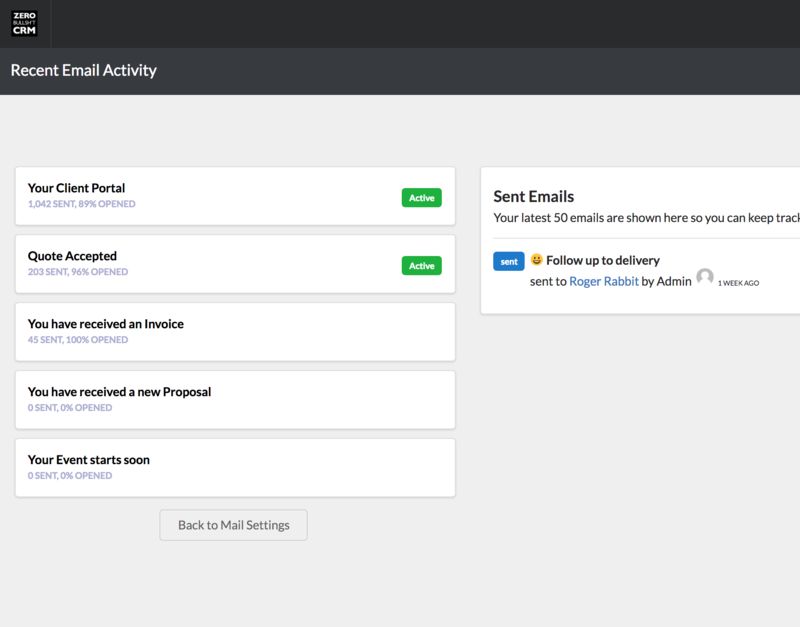 You get a full Mail Delivery setup, as well as fully customisable system emails. We even help you optimise them! Just want to change the wording a bit? Easy. Want to disable "Welcome to the Client Portal" emails? 1 Click and it's sorted. Want to hack the HTML or add your branding? No sweat. System Emails is the phrase we use here to describe any email which is generated by the CRM system. 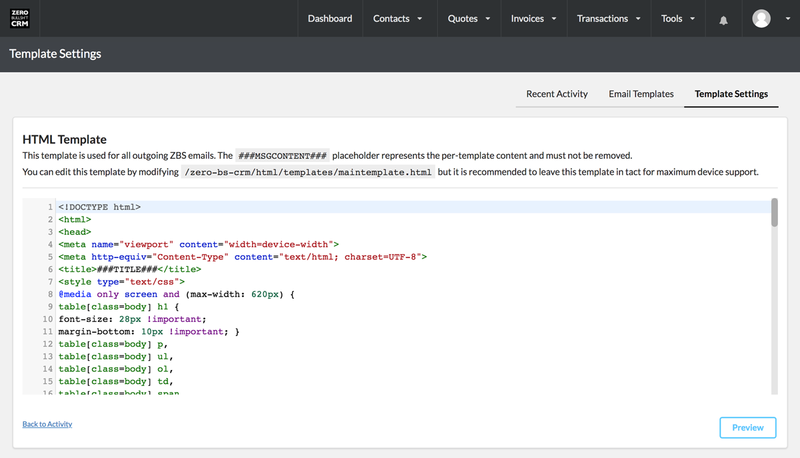 Zero BS CRM has templates for each system email which can be modified from the Settings page. You can add BCC addresses, Choose which delivery method (email) to send from, Activate/Deactivate it, or modify the text. Once you've set up Mail Delivery methods (email accounts to send from) and your CRM has sent out some emails you'll start to see statistics for send and open rates in your System Email settings pages. This is great to check your emails are getting out (ensuring deliverability) and to see if your copy/text needs a bit more optimisation to get contacts to click! 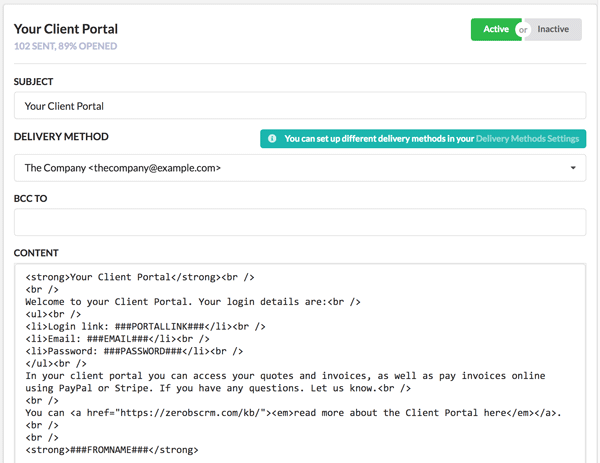 You get System Email support, along with high-level Mail Delivery with the free Zero BS CRM core plugin. We built it so that small businesses and (mainly) entrepreneurs can have best-in-class automatic email systems. 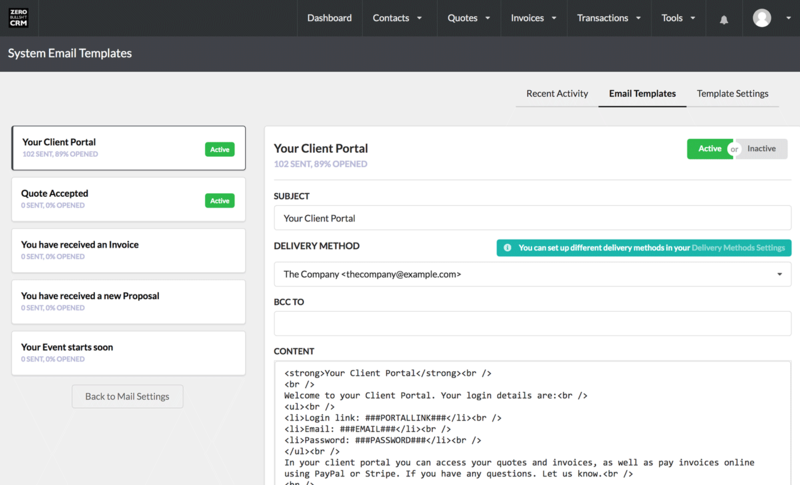 We've built even more into the bundles, where you can extend the power of system emails with the Client Portal PRO, Invoicing Pro, and much, much more.